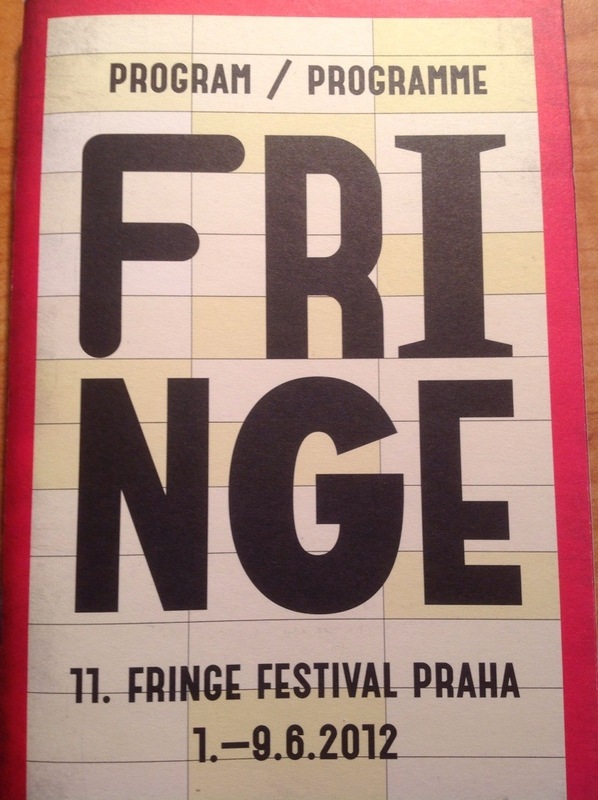 Fringe Festival is a large performance festival we attended in Prague. It happens all of the world, they have one here in Chicago. In Prague it happens every summer, so right on time for when we were there. The Fringe Festival is based off the model of the Edinburgh Festival Fringe, which is the worlds largest arts festival. There are about 11 different venues that host the Fringe festival and they have student discounts. The event is a mix of theater, art, performance, dance, music, and storytelling. When I went it was 9 days with 42 companies and 243 performances. For student tickets which are about 100Kč you must bring a valid student ID with you and arrive at least 30 minutes early. I usually showed up before that just in case it turned out to be a busy show. Otherwise tickets are 150Kč. The box office for each show opens up a half hour before showtime. If there is a show you want to see show up early or else you may not have a seat. There were certain shows I went to where I was one of the few people in the crowd, others where the line wrapped around the building and continued to be a long winding line throughout the building. There is no photography allowed as it distracts from the show. Especially since some of the venues are small. I went to four events. (outside the opening ceremony) Eidolon I went to on my own. 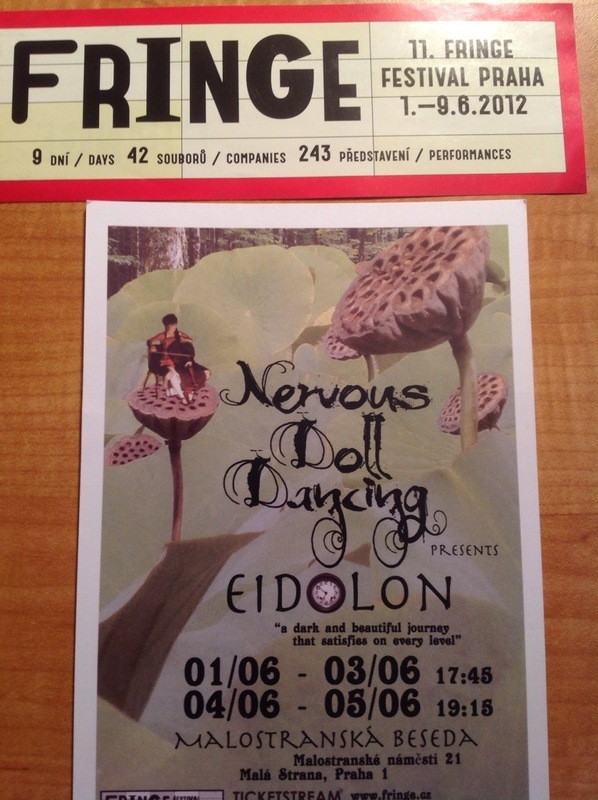 It was a beautiful show performed by Nervous Doll Dancing who was from New Zealand. Nervous Doll Dancing played and told story through her Chello performance. With my classmates we went to The Upside Down Girl and stayed for How Dare You! 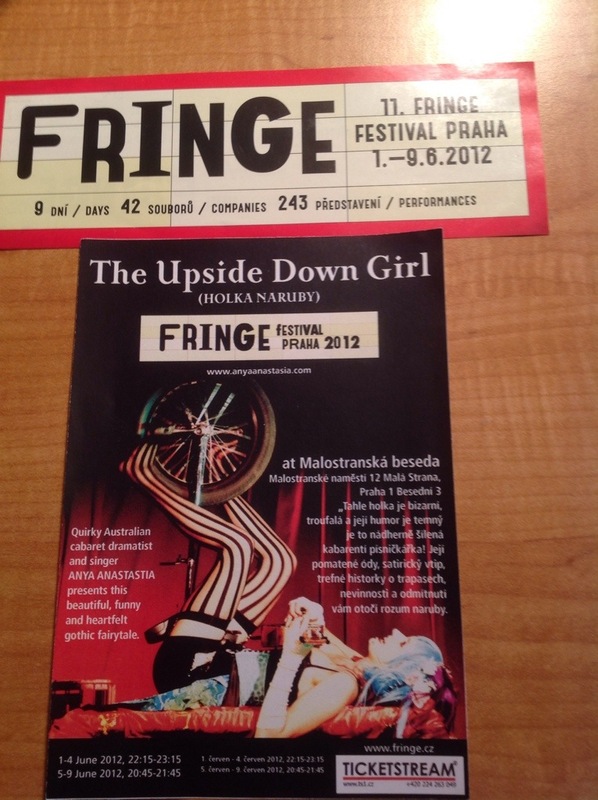 The Upside-Down Girl was performed by Anya Anastasia from Australia, it was a wonderful dark cabaret musical that inspired me and I also greatly enjoyed. How Dare You! was a comedy act performed by Daniel-Ryan Spaulding from Canada and was about an hour of stand up comedy that we all enjoyed. All three (and the opening event) of these happened at Malostranská Beseda. 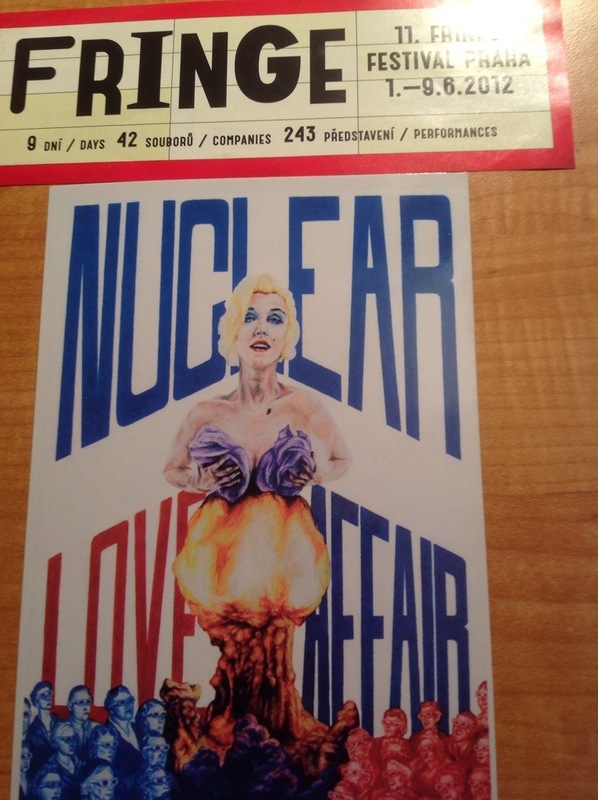 The fourth event I went to with my classmates was Nuclear Love Affair by Built for Collapse from the U.S.A. and happened at Divadlo Na Prádle (Besední 3 Malá Strana, Praha 1). Out of all of them Nuclear Love Affair had the largest crowd (it was the one that wrapped around the building) and it was the most disappointing. I’d fallen in love with the musical performances and laughed till my sides hurt with the comedy stand up. But with Nuclear Love Affair it was different. It started enjoyable, historical, with the Charlie Chaplin and Marilyn Monroe sort of introducing us to the time period, but as the story continued on they witnessed the atomic bomb and the war and the show got uncomfortable and bizarre. For Anya Anastasia and Nervous Doll Dancing, after the shows they had cds for sale that I purchased and there was a bit of a chance to chat with the performers, which I did. I attended Eidolon on my own and loved every second of it, but it was a rather empty performance I was one of the few in the audience. I suppose I find it interesting that I loved the practically empty to medium filled shows so much better than the packed show from my home country. After How Dare You! we all moved out of the stage room and to where there was a bar and stood around and chatted, Daniel-Ryan Spaulding made rounds and chatted with everyone which was fun. I ended up going home slightly early though but my classmates and teachers had fun chatting and drinking with people.